There are many ways to destroy a mobile home park. And who wants that to happen? A mobile home park is not only a monetary investment, but it is also a community and a home. People — both investors, employees, and residents — count on the park to live and thrive. We know that managing a mobile home park is not an easy task. But we hope we can save you some grief by introducing you to the top five destroyers of mobile home parks and how to avoid them. You can flip around every “do not” and find a positive action. 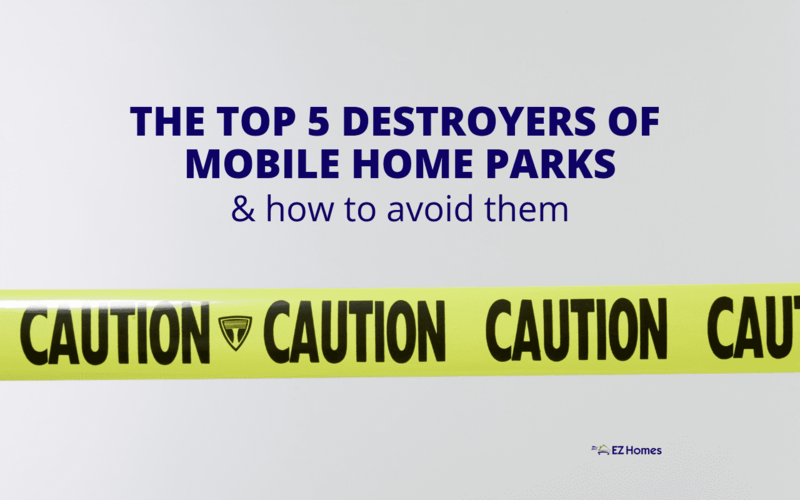 So let’s look at the top five destroyers of mobile home parks and how to avoid them. With a little more knowledge under your belt, you’ll find yourself on the right track to success. Managing a mobile home park brings its own set of challenges. Regardless of what comes your way, it’s important that you cultivate a mobile home park that thrives rather than dies. Here’s how to keep from destroying your mobile home park. Take each point in stride and consider how your park might be on its way to destruction. It’s never too late to set your park on the right track. So let’s start with the negative stereotypes. This will certainly destroy a mobile home park if you don’t do what’s needed to combat the stereotype. We’re all familiar with the negative stereotype — the dingy stigma that accompanies that mention of mobile homes. Thankfully, mobile homes are losing that stigma over time. Especially as mobile home manufacturers increase their construction quality. But once it’s out of the factory, it’s up to the mobile home owners and parks managers to keep the stigma away. Trashed lawns and abandoned mobile homes in a park do not help the mobile home cause. Keep a tidy mobile home park and don’t let your mobile homes fall into disrepair. 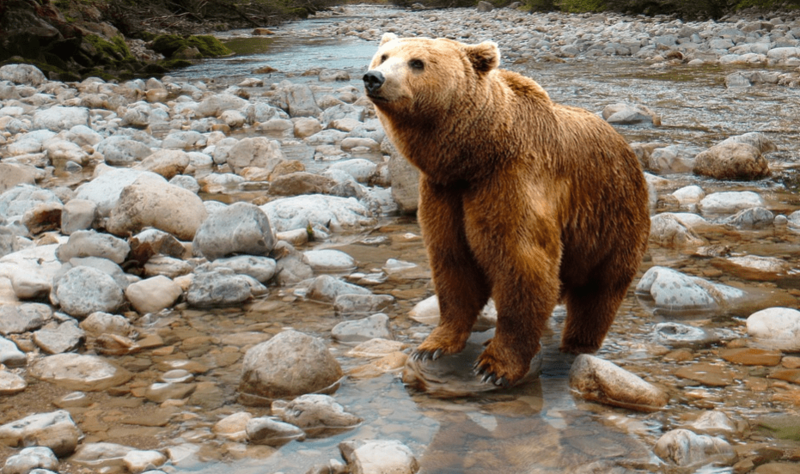 2 – … and bears, oh my! Yes, you read us right. Bears. They’re a threat to your mobile home park. In the state of Kentucky, residents reported a bear problem. Bears were rummaging in the trash and tearing apart the mobile home underpinnings. The bear problem is causing residents to live in fear, not wanting their children to go outside and play. The last thing you want is for your park residents to live in fear. If you can’t keep a dangerous wildlife threat under control, you can bet that your mobile home park will be an unpopular place to live. To run a mobile home park on rent prices that were never increased to compensate for inflation is to ensure your park’s self-destruction. A park cannot thrive for long if it’s not bringing adequate income. If your mobile home park is not bringing a good return on your investment, maybe it’s time to rethink your lot rent fees. Have they kept up with inflation? It may be time to raise the cost of rent. Another death knell to a mobile home park is the fact that some park owners have poor management skills. To have poor mobile home park management skills is to ensure your park does not succeed. Be honest with yourself. You may be a good investor, but you may not be cut out for mobile home park management. This is important that you understand where your skills fit. If you find that you are not good at managing the park, consider hiring someone for the sole role of mobile home park manager. Now let’s talk about those vacant lots. If you don’t take action, your mobile home park will fail to bring you income. And if that happens, you’ll be forced to shut down the park or sell it to a more able investor. But why sell it to another person when the future of the park is in your hands? That’s right. You need to be proactive in seeking out mobile home park tenants. 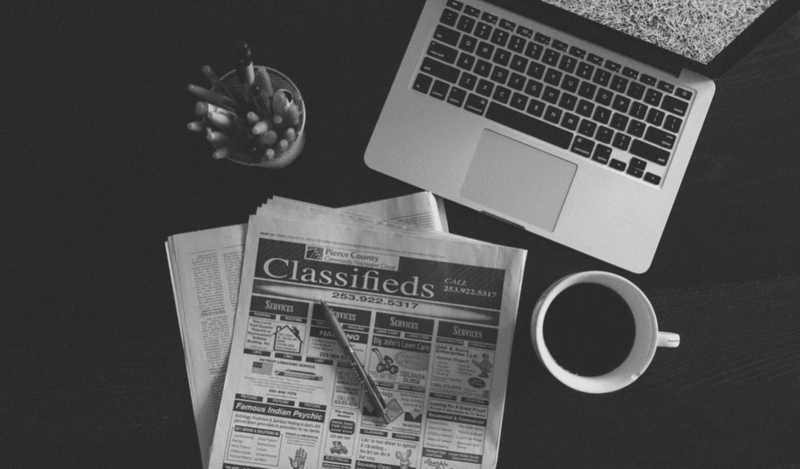 Post advertisements in the newspaper, online, and on local bulletin boards. Get the word out there. Finally, poor communication skills can cause your park much grief. By not taking the time to both listen and speak to your tenants, you are creating a recipe for disaster. Keep your tenants updated on any changes in the park. If you have to raise the rent, be sure to dialogue with them, explaining why you need to raise the rent. Be open to collecting their opinion on the park’s operations. Communication can make or break your park. Remember, avoiding failure is in your hands. It’s never too late to start making the best decisions for your park.